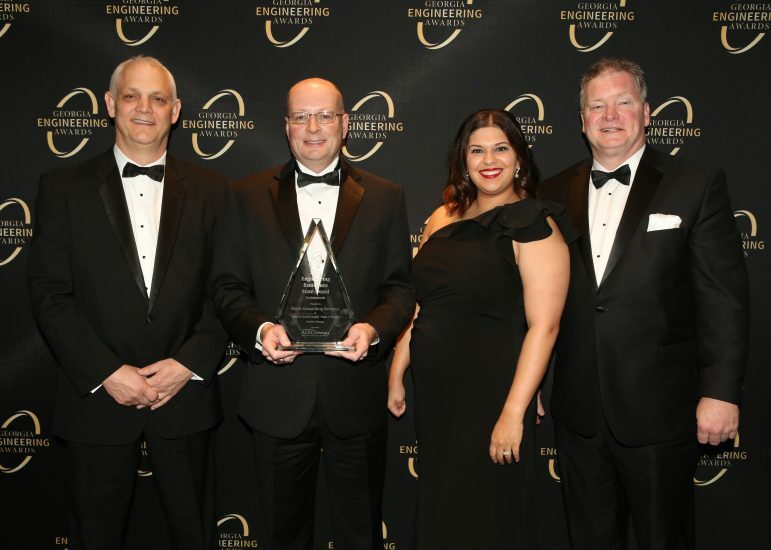 On Saturday, February 24th, the American Council of Engineering Companies (ACEC), Georgia Chapter hosted their annual Engineering Excellence Awards ceremony at the Grand Hyatt Atlanta Buckhead. 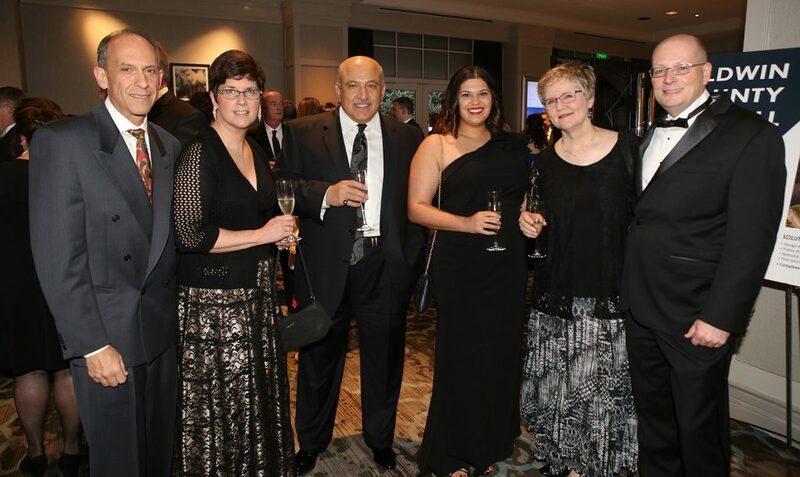 Among the state level award winners was Oasis Consulting Services, who took home the State Award, Environmental Category for an innovative alternative landfill cap design at Union Hill Church Road Landfill in Baldwin County. Representing Oasis Consulting Services at the ceremony was Vice President, Director of Environmental Solutions J. Robin “Robbie” Blanton, P.E., who led the design and turnkey landfill services to perform the award-winning project; Oasis co-founder and co-owner Majid Zibanejadrad; Senior Vice President, Director of Engineering Michael Monteleone, P.E. ; and Director of Business Development & Marketing Sarah Zibanejadrad Beeson. In addition to members of the Oasis team, the group was joined by County Engineer Brian Wood of Baldwin County and Tim Reeves of Watershed Geo, creators of the ClosureTurf TM product utilized for the landfill cover.